And now, Heere's Cleveland!! A Tonight Show History.. 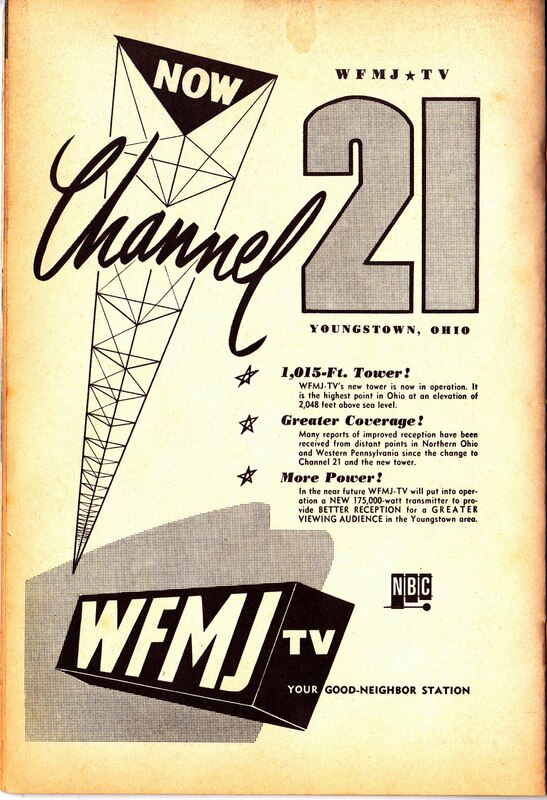 The Tonight Show has grown into an institution-A tradition in America over the last 57 years that some people watch out of habit..That tradition was'nt always so apparent in Cleveland and a few other markets, especially if Westinghouse owned the NBC affiliate in the early days of the Tonight Show..
To understand the history of the Tonight Show in Cleveland, it's necessary to go back to the early days of TV in the late 1940's...Broadcast days were generally from 4-11PM , eventually stretching from about 1-11 as each station got more established..There was not much news programming to speak of..maybe a couple of 5 minute bulletins at random times of the day..Often the last show of the day was a "Program Previews" which did just that..reminded viewers of program highlights the next day. March 1949 WEWS-TV 5 ad from Tele-Vue Magazine..Linn Sheldon also hosted "Program Previews" in this era.. 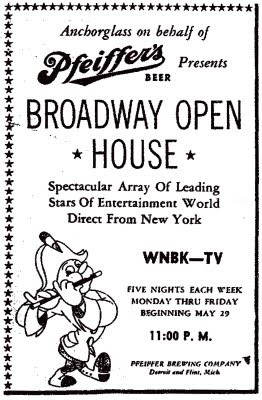 This would all change by May 29, 1950..NBC premeiered "Broadway Open House" with Jerry Lester and statuesque blonde Dagmar..Sponsored by Pfeiffer Beer in the Cleveland area on WNBK-Channel 4 and nationally by Anchor Hocking Glass..The show was a mixed success, running 11-Midnight until August 24, 1951.. 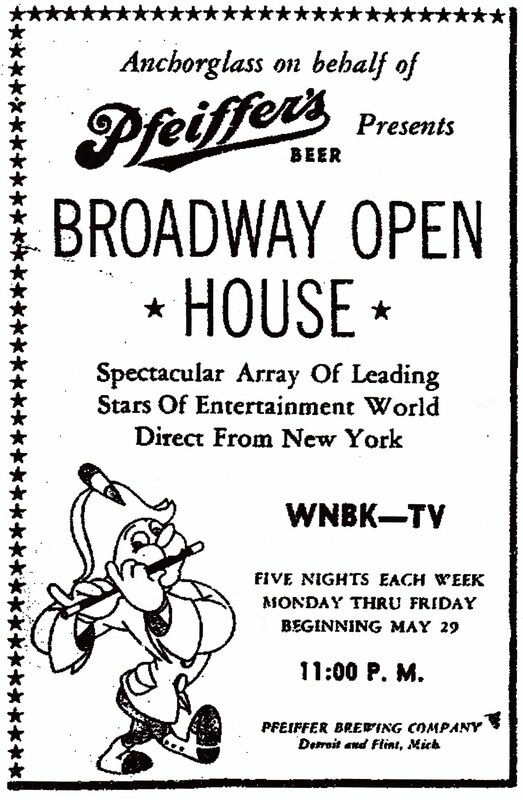 Segment of Broadway Open House with Jerry Lester-appears to be from December 1950..
WNBK went back to movies and other features until September 27, 1954 when "Tonight with Steve Allen" premiered..The blending of the light Allen comedy touch with musical guests allowed the show to gain a foothold with the late night crowd..Besides, with WNBK being owned and operated by NBC, there was little question of whether Tonight would be carried in Cleveland..
1955:WNBK-TV 3 ad for "Tonight" over NBC-"A Service Of RCA"
The Allen Tonight Show lasted till January 25, 1957, when Steve decided to concentrate on the Sunday Night Steve Allen Show opposite Ed Sullivan..NBC went with something starting January 28, 1957 called "America After Dark" A News/Entertainment program headed by Jack Lescoulie and Al "Jazzbo" Collins with Newspaper Columnists hosting featured segments throughout the country..The show was universally panned by critics.. 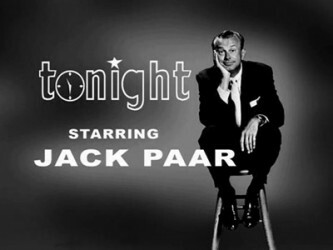 Meanwhile, other stations were dropping the America After Dark Show in Large Numbers..NBC finally decided to change things up once again by offering what was first called, "Tonight Starring Jack Paar", on Monday, July 29, 1957 (Though later the show would be known as The Jack Paar Show, or The Jack Paar Tonight Show, or simply the Tonight Show)..In Cleveland, Channel 3 had already decided to stay with movies, which were more profitable as a rule locally..Other Westinghouse NBC stations had dropped "Tonight" as well.. Finally, after weeks of negotiation, WEWS-TV 5 agreed to carry the Jack Paar Show in Cleveland, beginning Monday, October 28, 1957..Canton-born Paar had worked at WGAR Radio in the late 1930's, where he was the announcer during the CBS airing of "War Of The Worlds" on October 30, 1938..
1957:Introduction by original sidekick Franklin Pangborn on Paar's first show..Pangborn only lasted a short time before Hugh Downs became the announcer..
1959 Ad featuring Movie Host Ronnie Barrett, also known as a radio dj and bandleader..Notice the "Well Above Par" reference..
As WEWS settled into being the Jack Paar station in Cleveland, 1960 brought color to the Tonight Show, which WEWS aired, as their only regular color program until the mid 1960's..
WEWS also carried Huntley-Brinkley from NBC June 29, 1959-July 1, 1960. 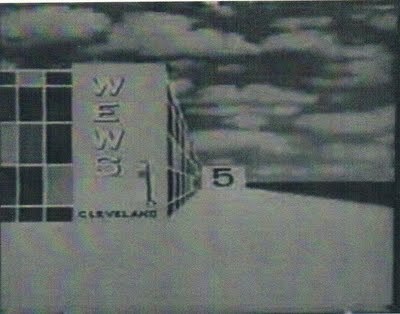 1962 "Tonight" Episode with Jerry Lewis..(In between Paar and Carson)..which was aired on WEWS-Channel 5..
Westinghouse decided to actually try to compete with "Tonight" in the early 1960's with "PM East PM West" With Mike Wallace and Joyce Davidson in New York and TV Writer Terence O'Flaherty in San Francisco..Premiering June 12, 1961, PD writer George Condon likened it somewhat to the failed "America After Dark"..An August 19, 1961 Plain Dealer Column by Condon stated that WJW-TV 8 gained viewers from KYW-3 that wanted to watch movies..
On February 5, 1962 The PM West portion was dropped and PM East took over the entire 90 minute show.. 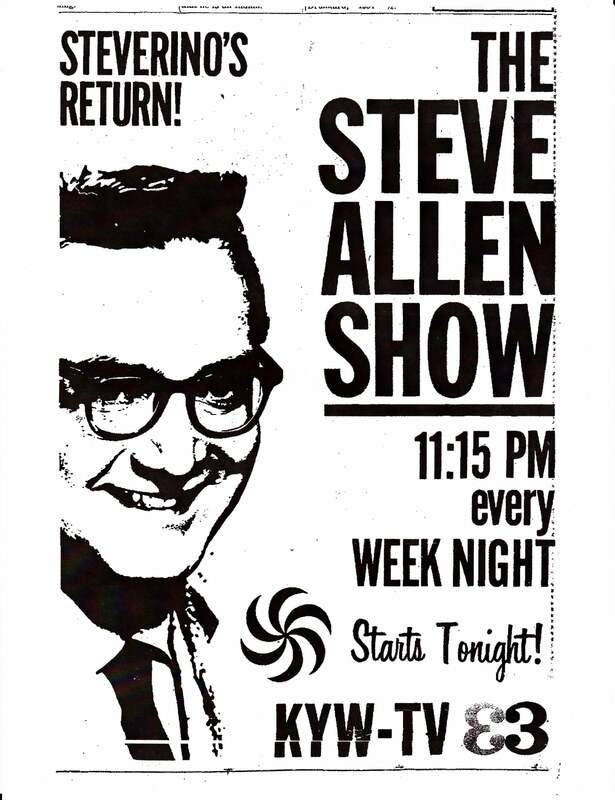 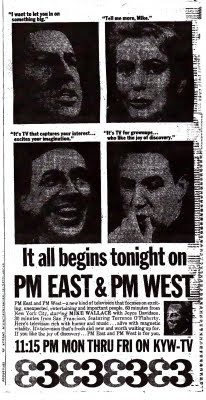 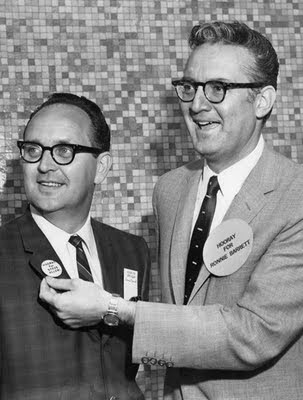 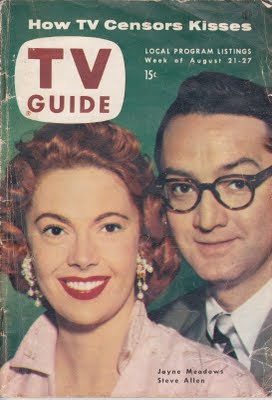 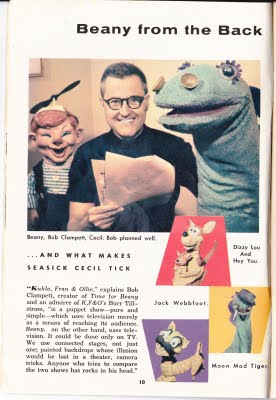 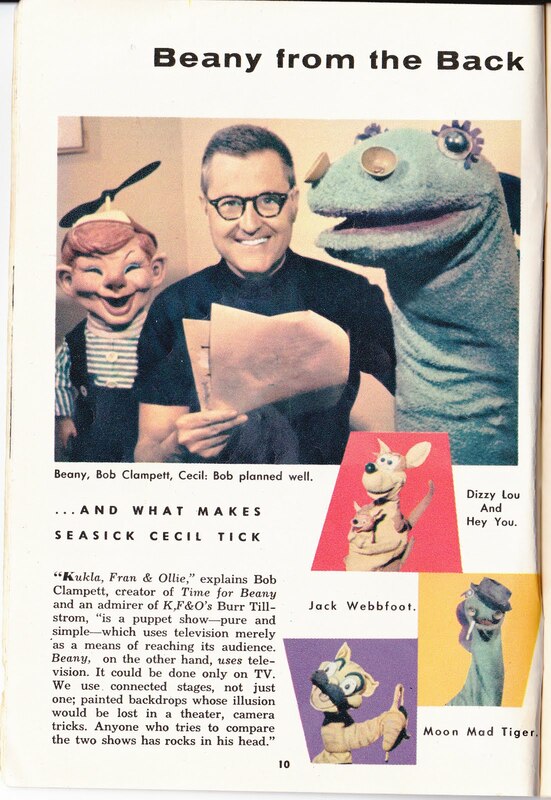 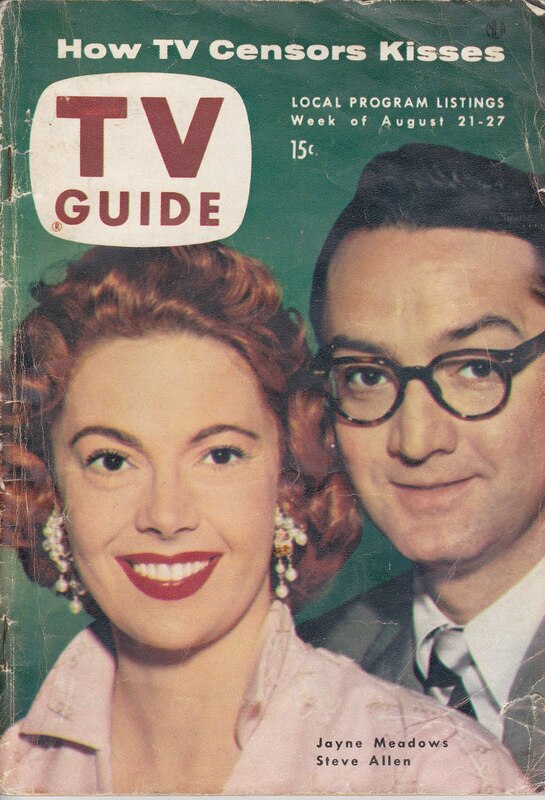 The PM East program was cancelled June 22, 1962 and replaced with..Steve Allen..The comedian was signed to Westinghouse to compete with NBC's Tonight Show. 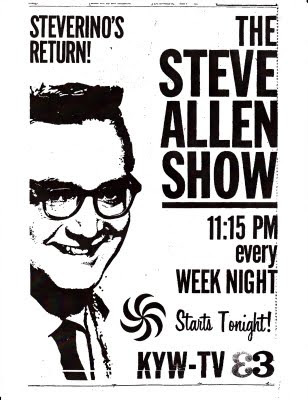 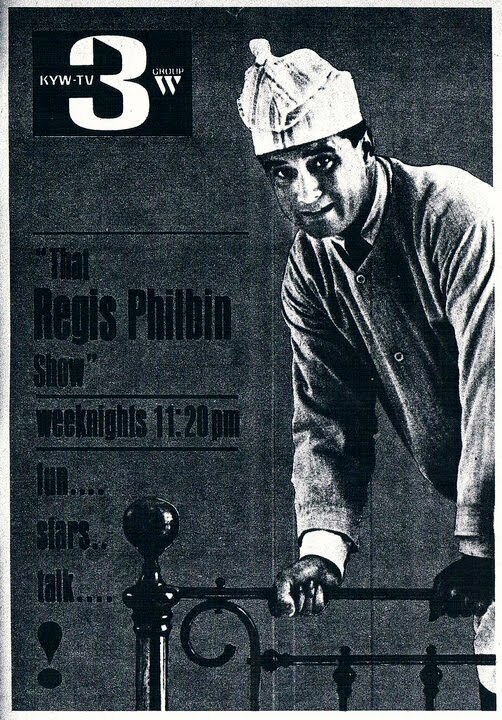 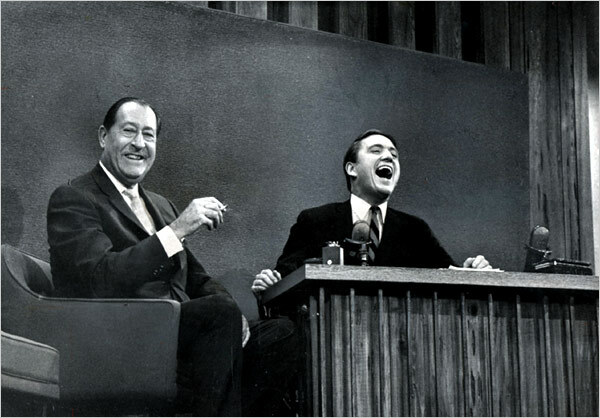 His first show was Monday June 25, 1962..
Allen was relatively successful for over 2 years before being replaced by a young Regis Philbin Monday, October 26, 1964..Philbin only lasted about 4 months , his last show being March 5, 1965. 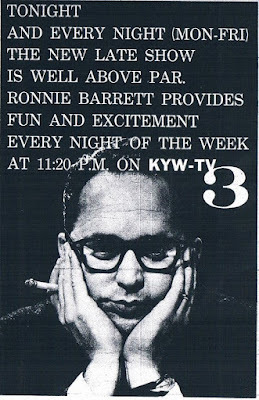 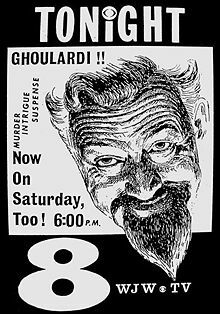 KYW then went back to showing movies for awhile starting March 8, 1965..It was during the 1963-64 period that WJW-TV 8 owned Friday Nights for a time with Horror-Movie Host Ghoulardi..
March 8, 1965 KYW Movies which ran till May 7..
Merv Griffin had been all over TV since the 1950's, hosting music and game shows..He hosted a daytime talk show for NBC in 1962..He began his long career with Group W/Westinghouse on Monday, May 10, 1965 at 11:20 PM on KYW-TV..
Merv Griffin and Arthur Treacher in a 1965 show..
With all these changes, one other big change would ultimately settle things down..The NBC/Westinghouse swap back of Radio and TV properties, whicn took place at 5AM Saturday, June 19, 1965..Partly as a result of this, Merv Griffin's last night show for now NBC-Owned WKYC-TV would be Friday, September 10, 1965..Griffin immediately moved over to WEWS weekday afternoons at 3:30 Monday September 13, 1965.. WKYC-TV 3 went back to movies, beginning with "The Man In The Gray Flannel Suit on Sept, 13, 1965 (The Late Show)..
NBC and Scripps-Howard (WEWS Owner) began negotiatons for NBC to reacquire The Tonight Show, which had starred Johnny Carson since October 1, 1962.."Tonight" finally returned to WKYC February 28, 1966 where it has been ever since.. 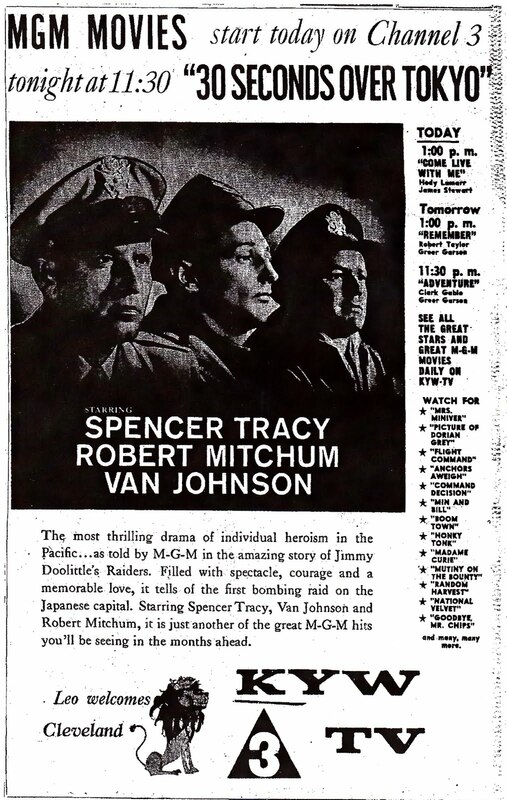 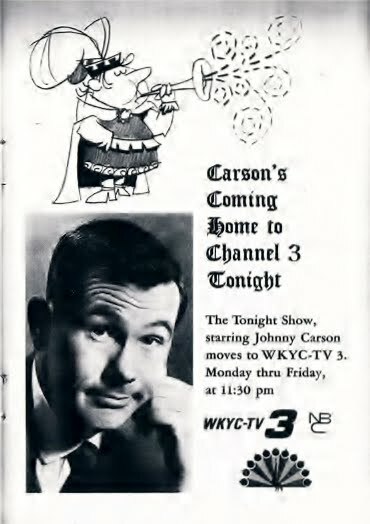 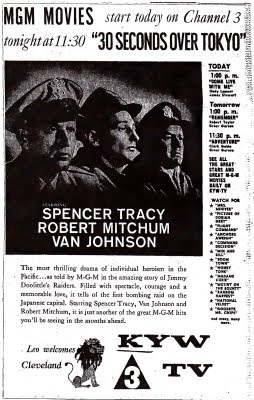 Ad announcing Johnny's "homecoming" to channel 3, though the show hadnt been on WKYC beforehand..February 28, 1966. 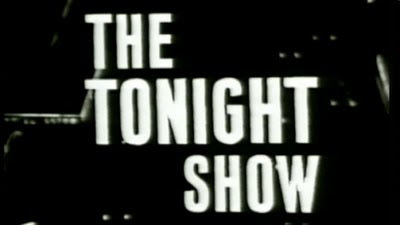 The Tonight Show has been on WKYC since 1966 through Johnny's retirement in 1992, Jay Leno's reign as host 1992-2009 and 2010-present, as well as the ill-fated Conan O' Brien Jay Leno at 10PM experiment in 2009-2010.. 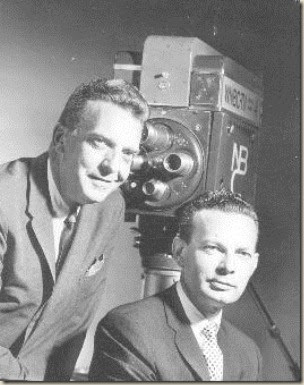 Grateful thanks to all that contibuted..While many of the photographs are from my own collection..Videos and some photos from Cleveland Press and Plain Dealer Archive, Ray Glasser, Ira Gallen, Wikipedia and other various sites.. 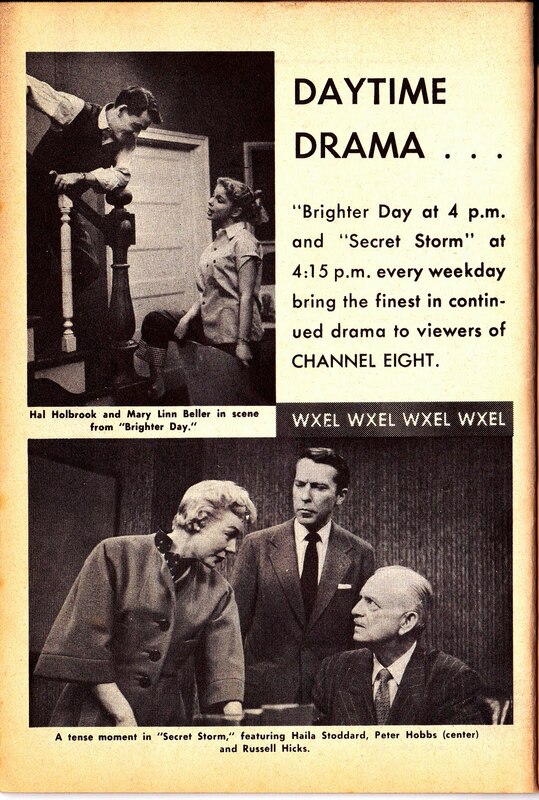 Ad for CBS' late afternoon soaps from 4-4:30:Brighter Day and Secret Storm, aired on WXEL rather than WEWS..WXEL also had Portia Faces Life at 1 and The Seeking Heart at 1:15..By March 1, 1955 all CBS shows would be on channel 8..Notice the scene in the top picture..Hal Holbrook in an early tv role.. Ad announcing WFMJ-TV's very recent move from channel 73 to channel 21, along with their subsequent power increase.. 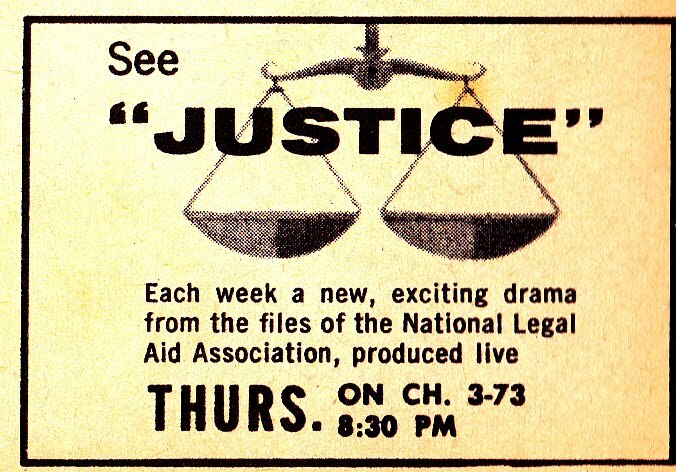 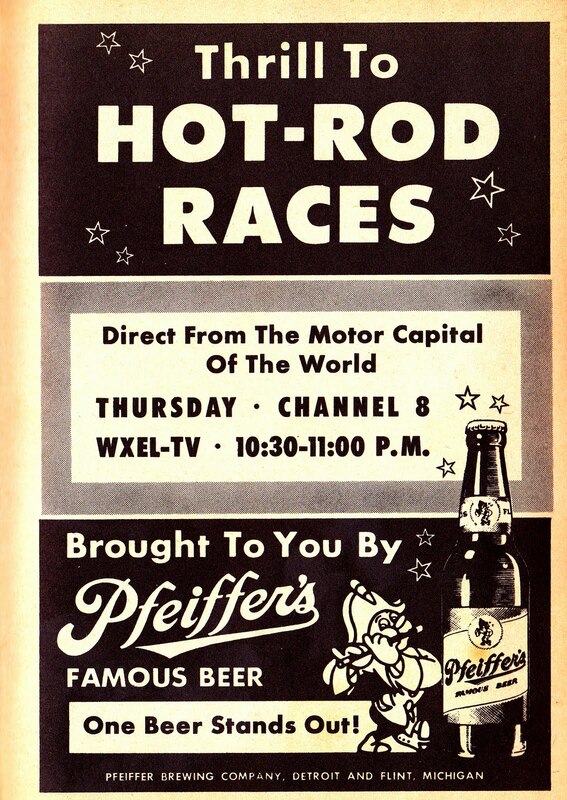 Ad for Live Hot Rod Races from Detroit on WXEL-8..I assume this was aired in connection with Storer's WJBK-TV 2 Detroit..Storer did acquire WXEL in 1954..
Notice of "Justice" a series apparently modeled after "Dragnet" that ran Thursdays at 8:30..Notice that the ad puts the show on 3 and "73", though WFMJ-TV has been on Channel 21 since August 7.. 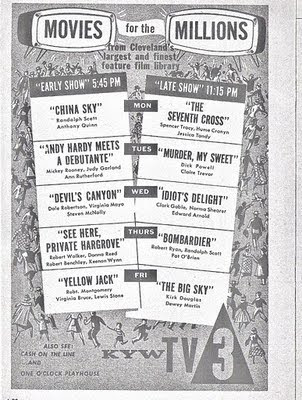 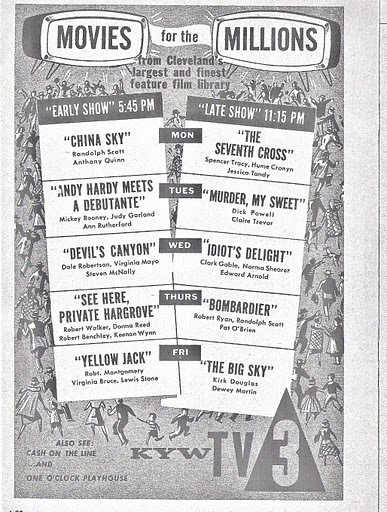 I thought we would take a look at August 21-27, 1954 in the pages of TV Guide, Lake Erie Edition.. 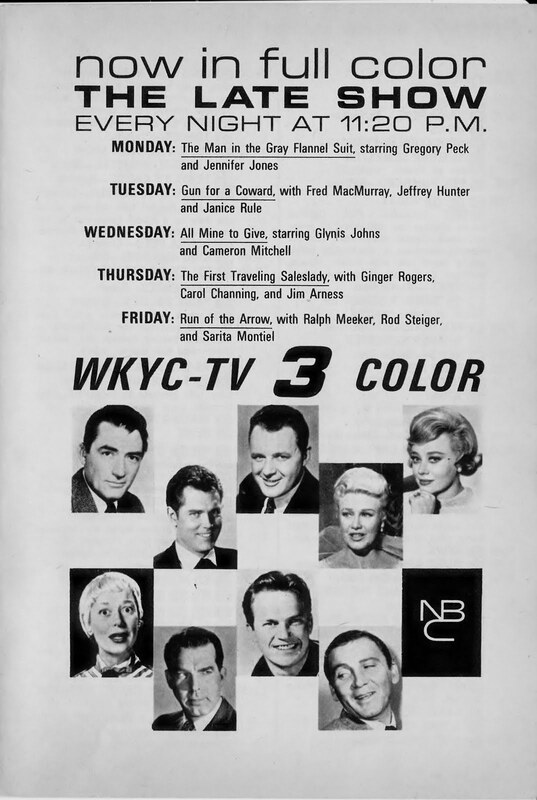 In Lake Erie Dateline, the Cast of NBC's summer replacement series Midwestern Hayride(WNBK) was scheduled at the Lorain County Fair August 24..The Mello-Larks and The CrewCuts were also scheduled to appear during the fair..Toast On The Town(WEWS) will have an Ice Capades preview September 5, with the show scheduled to hit The Cleveland Arena October 1-17..
3-21 Bank On The Stars-Jimmy Nelson/Puppet Danny O'Day-Last Show-Replaced by "Mickey Rooney"
Episode of Captain Video from DuMont, shown on channels 8 and 27 weeknights at 7..
21 Hal's A Poppin-Hal Fryar Not long after this, Hal would move to Indianapolis, where he became long time Kiddie host, "Harlow Hickenlooper" on Channel 6 in that city..